Q-Deck preservative pre-treated softwood decking, is produced from selected grade quality softwood – you can choose from contemporary smooth decking to a wide range of trendy grooved decking profiles some of which can be retro-fitted with Q-Grip slip resistant decking Strips. Also available is FSC certified Q-Deck Garapa Hardwood decking. Q-Deck Lunawood Thermowood decking is a heat treated softwood decking made durable without the need for preservatives. Minimise the chance of slippery decking by using Q-Grip decking, a range of anti slip decking boards with enhanced grip characteristics. 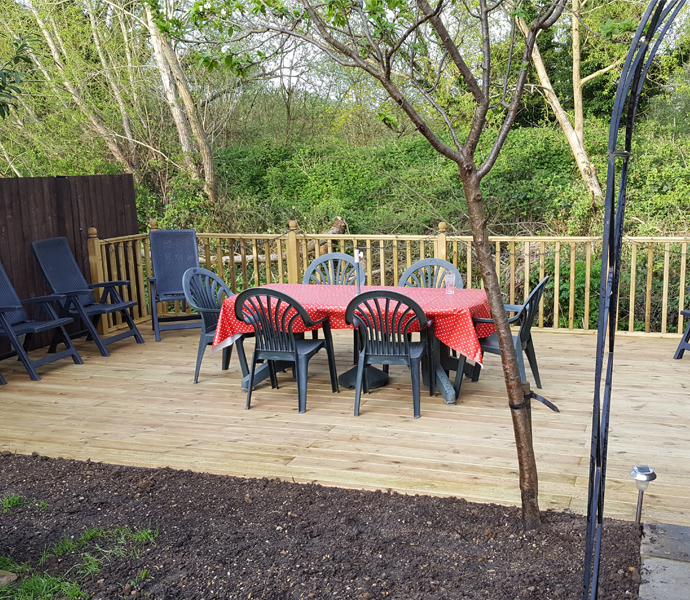 Q-Grip slip resistant decking with GripDeck® Technology is available ex-stock in preservative pre-treated softwood and can be made to order in Garapa or other hardwoods as required. Finally, for those who seek a more uniform colourfast alternative to timber decking there is Q-Deck Twinson, a wood plastic composite decking board made from a combination of plastic and wood residue.